Set of 14 cat patterns for creating wonderful designs. File format: .jpg, .png for Photoshop or other software. 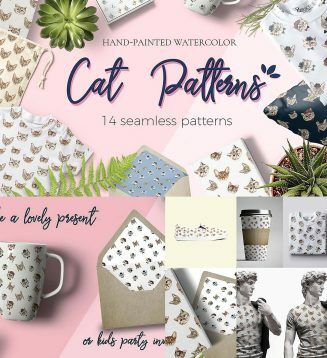 Tags: canvas pattern, cute, kitty, pattern, print, seamless pattern.